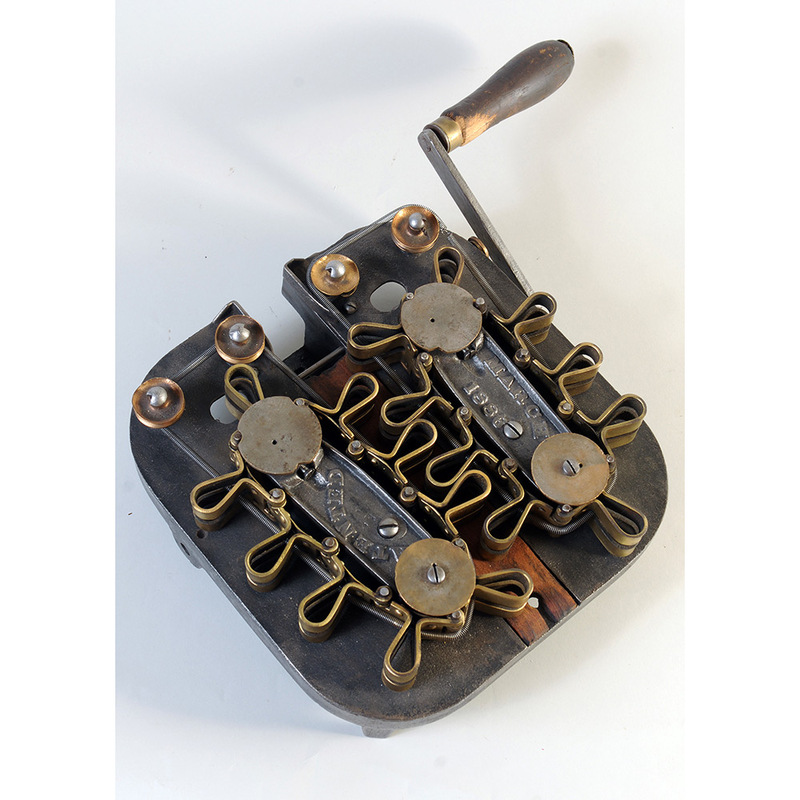 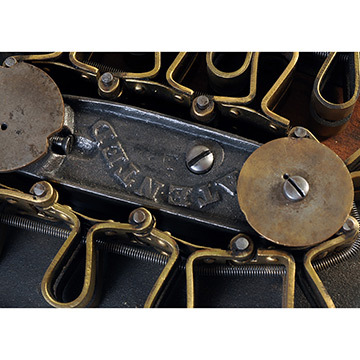 As it was fed through this machine, a rope of hot candy was crimped like a ribbon by the interlocking forms that engaged with each other like teeth in a gear. 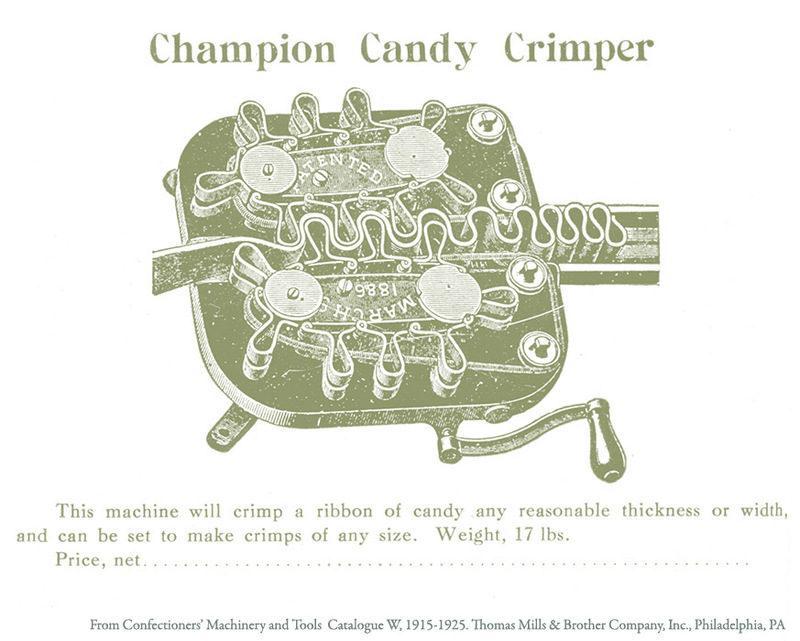 Traditionally popular during the Christmas season, ribbon candy was usually colored in red and green and flavored with cinnamon or peppermint. 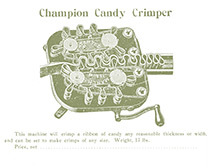 Several companies in the United States continue to make such "old fashioned" hard candy, and, in Denver, Colorado, Hammond's Candies still uses a machine such as this one.